Lady Gaga has been hard at work in the studio crafting new music for a variety of upcoming projects. While not alot is known about the future releases, we can be certain that Mother Monster never disappoints! Beautiful weirdness? Sounds very intriguing! It is unclear what project their music is for, but chances are the pair are hard at work for Lady Gaga's upcoming sixth studio album, dubbed "LG6". Other confirmed collaborators include Dj White Shadow & Nick Monson. 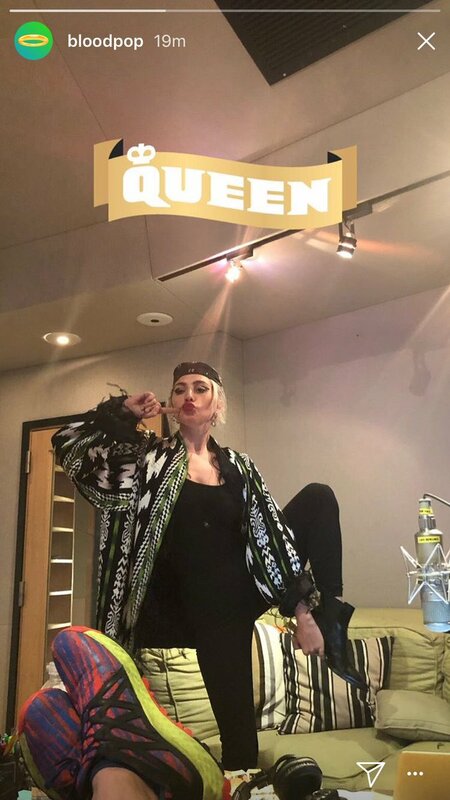 On Thursday night, BloodPop® posted a picture of Gaga in a recording studio on his Instagram story. Following his work on various tracks from her fifth studio album "Joanne", it was revealed several months ago that the pair were collaborating for a new track said to be BloodPop® featuring Gaga (as opposed to being a track with Gaga as the lead artist), so it is likely she was re-recording vocals and polishing the upcoming single. We aren't sure when it is due, but is safe to assume the wait shouldn't be too long as BloodPop® has liked a selection of tweets from fans asking about the track. Check out the photo of the pair in the studio below!